A fault in a Soyuz rocket booster has resulted in an aborted crew mission to the International Space Station, but fortunately no loss of life. The astronauts in the capsule, Nick Hague (U.S.) and Alexey Ovchinin (Russia) successfully detached upon recognizing the fault and made a safe, if bumpy, landing nearly 250 miles east of the launch site in Kazakhstan. This high-profile failure could bolster demand for U.S.-built crewed spacecraft. The launch proceeded normally for the first minute and a half, but at that point, when the first and second stages were meant to detach, there was an unspecified fault, possibly a failure of the first stage and its fuel tanks to detach. The astronauts recognized this issue and immediately initiated the emergency escape system. 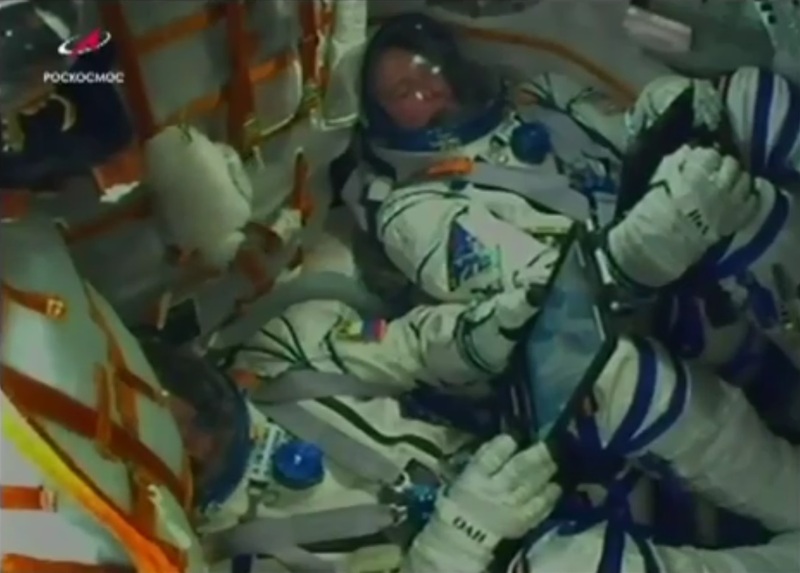 Hague and Ovchinin in the capsule before the fault occurred. The Soyuz capsule detached from the rocket and began a “ballistic descent” (read: falling), arrested by a parachute before landing approximately 34 minutes after the fault. Right now that’s about as much detail on the actual event as has been released by Roscosmos and NASA. Press conferences have been mainly about being thankful that the crew is okay, assuring people that they’ll get to the bottom of this and kicking the can down the road on everything else. Although it will likely take weeks before we know exactly what happened, the repercussions for this failure are immediate. The crew on the ISS will not be reinforced, and as there are only 3 up there right now with a single Soyuz capsule with which to return to Earth, there’s a chance they’ll have to leave the ISS empty for a short time. The current crew was scheduled to return in December, but NASA has said that the Soyuz is safe to take until January 4, so there’s a bit of leeway. That’s not to say they can necessarily put together another launch before then, but if the residents there need to stay a bit longer to safely park the station, as it were, they have a bit of extra time to do so. The Soyuz booster and capsule have been an extremely reliable system for shuttling crew to and from the ISS, and no Soyuz fault has ever led to loss of life, although there have been a few issues recently with DOA satellites and of course the recent hole found in one just in August. 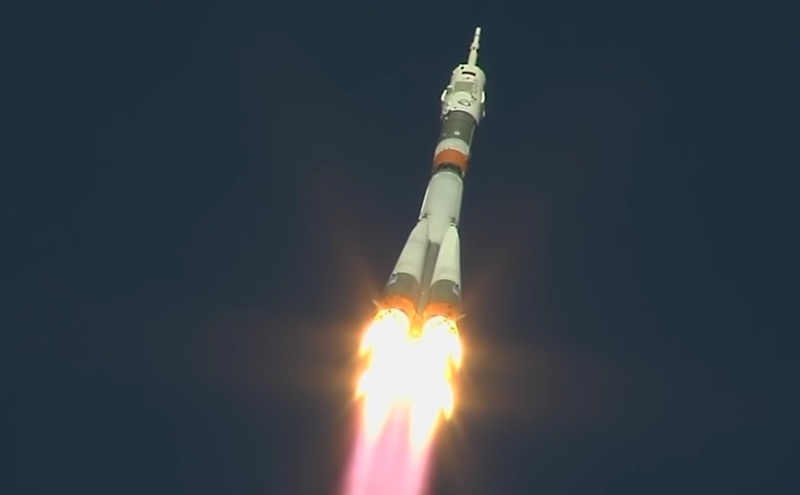 This was perhaps the closest a Soyuz has come to a life-threatening failure, and as such any Soyuz-based launches will be grounded until further notice. To be clear, this was a failure with the Soyuz-FG rocket, which is slated for replacement, not with the capsule or newer rocket of the same name. SpaceX and Boeing have been competing to create and certify their own crew capsules, which were scheduled for testing some time next year — but while the Soyuz issues may nominally increase the demand for these U.S.-built alternatives, the testing process can’t be rushed. That said, grounding the Soyuz (if only for crewed flights) and conducting a full-scale fault investigation is no small matter, and if we’re not flying astronauts up to the ISS in one of them, we’re not doing it at all. So there is at least an incentive to perform testing of the new crew capsules in a timely manner and keep to as short a timeframe as is reasonable.